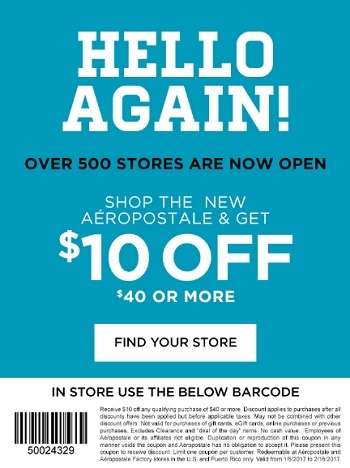 You can save money with printable coupon at any Aéropostale store in the U.S. Print the coupon, show it to cashier and take $10 off your purchase of $40 or more. Source of the information is Aéropostale. The offer is valid until February 16, 2017. For more details see any U.S. Aéropostale store.